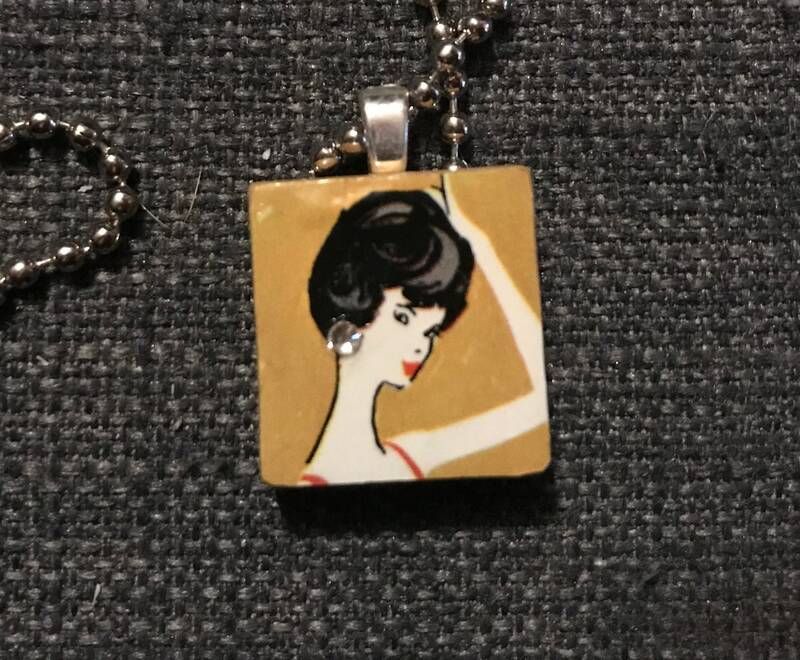 A unique pendant made from a set of Scrabble tiles. This one is fashioned with a vintage Barbie image on the front that I cut from a vintage Barbie fashion booklet. I added little Swarovski crystal to give her an earring, adding a little sparkle to the necklace.